On Saturday, June 4 2016, Enough Pie hosted our fourth annual AWAKENING in the backyard of the high rise building Joseph Floyd Manor in the Upper Peninsula. 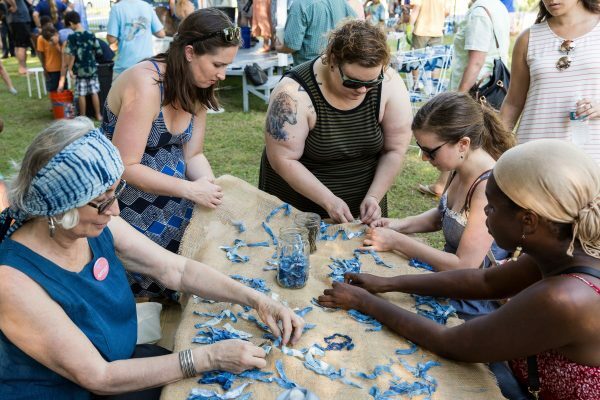 The community enjoyed indigo-inspired art, storytelling, dance, music from Ohm Radio 96.3FM, food from Roti Rolls + One80 Place, and weave the fence with Artist & Craftsman. As the sun set, we screened an outdoor documentary film — BLUE ALCHEMY — with the filmmaker Mary Lance in attendance. 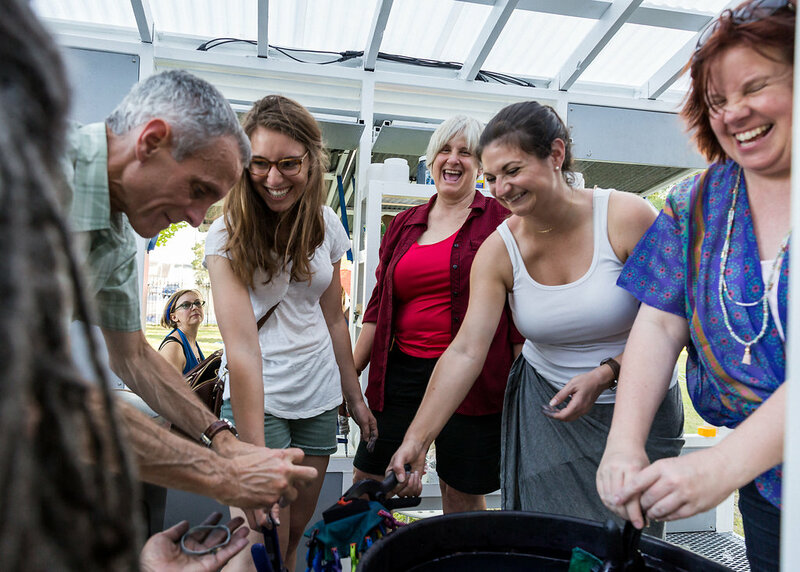 This year, AWAKENING, a part of the Piccolo Spoleto Festival, also celebrates the launch of Enough Pie’s most collaborative project to date: INDIGO VAT SHACK, a hands-on indigo dye vat where guests are invited to explore the history, culture, science and arts of indigo. 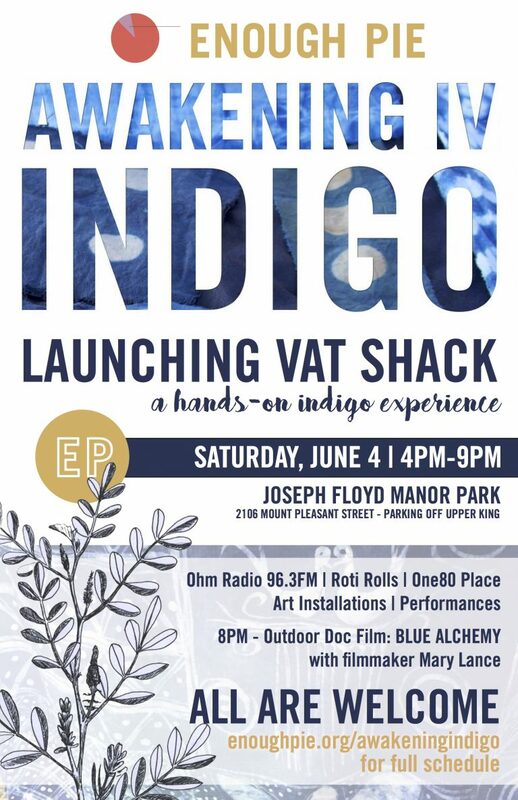 VAT SHACK is the first public indigo dye space in Charleston to offer hands-on experiences with indigo, a historic and sacred dye plant with deep roots in SC. 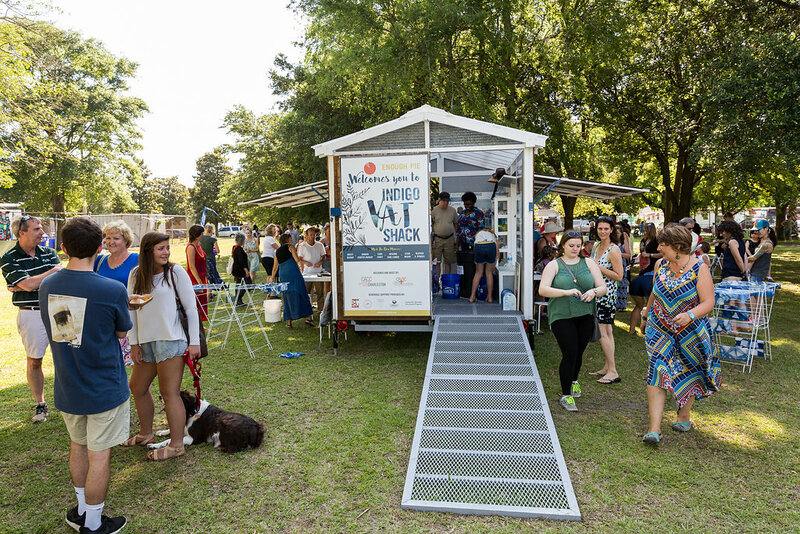 The VAT SHACK is an off-the-grid, sustainable mobile shack designed and built by Clemson Design.Build that will engage local residents and bring new creative communities into the Upper Peninsula.